Browsing articles tagged with " crock for kitchen scraps"
Are you composting your kitchen waste? Here’s a perfect compost crock for you, Farmhouse Compost Crock. 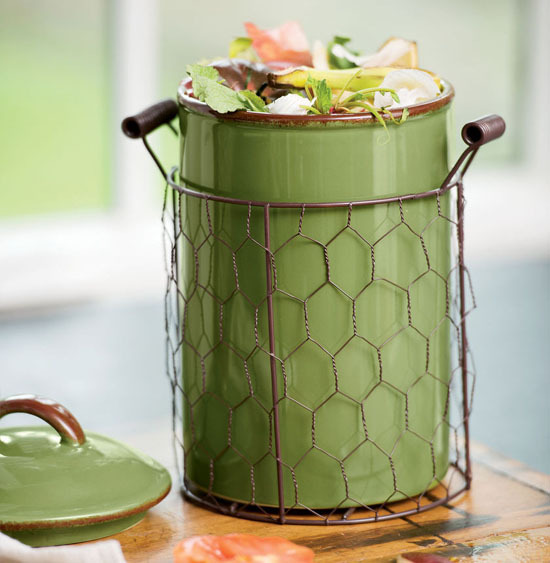 This earthenware crock keeps your kitchen scraps for composting, it features vintage farmhouse style that would complement your kitchen décor. 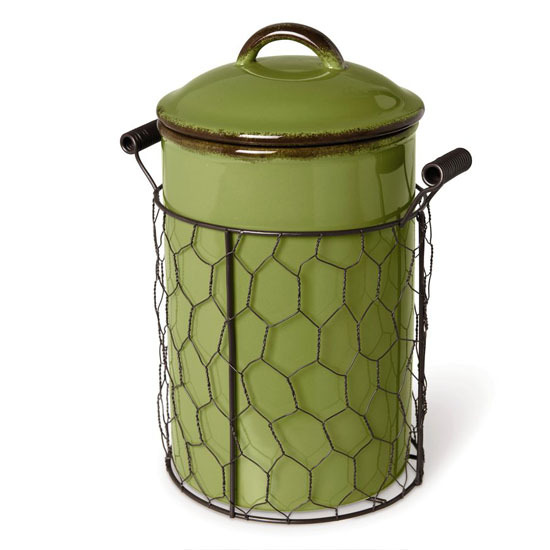 This cute crock is nestled in a chicken wire basket, it would look cool standing on your countertop. 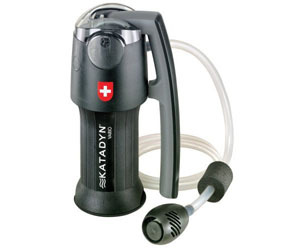 It has a carbon filter in the lid to prevent odors, some customers even mention that it doesn’t seem to attract fruit flies. It sounds pretty good, heh?